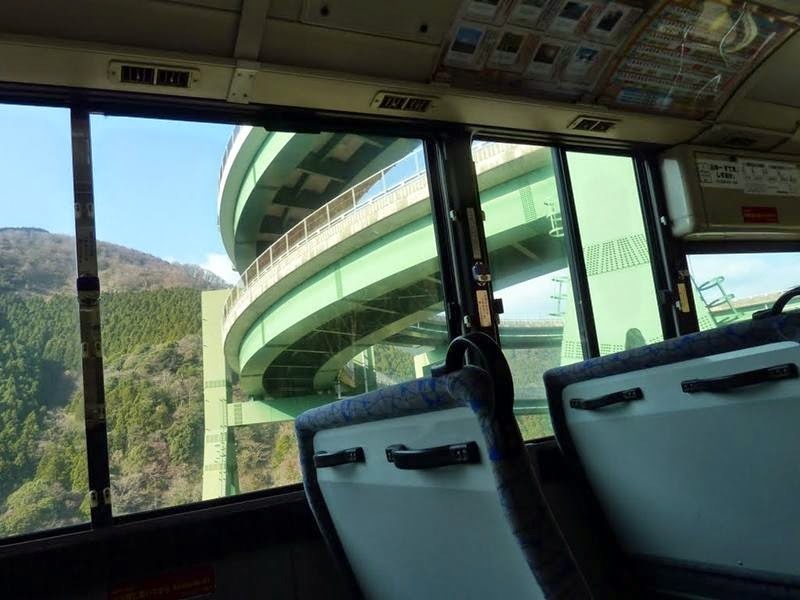 Kawazu-Nanadaru, Japanese Double Loop Spiral Bridge — An excellent example of this is one of the Japanese road called Highway 414, or rather part of it, which is a rise of the mountain. 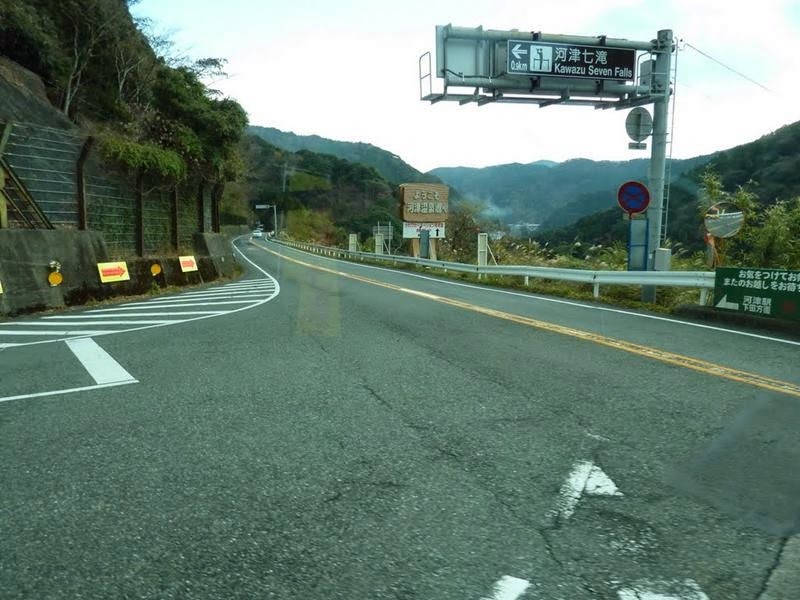 Raise the road up the mountain is not a trivial task and there is no standard approach. In some countries, paving the way to the mountain gentle zigzags. This method is one of the easiest, but it also has some drawbacks. Firstly, such a method requires a lot of space, because the road has to go at a certain angle, otherwise the wheels of cars can lose a reliable grip with the road. 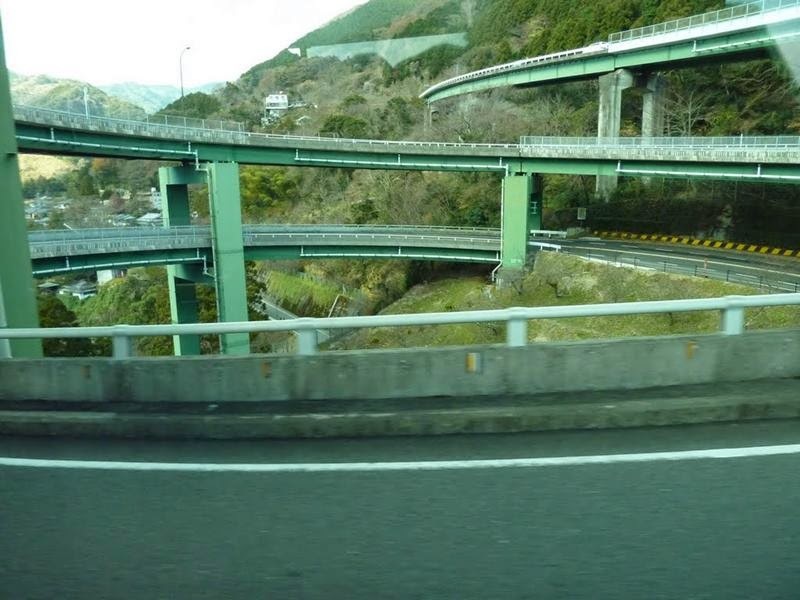 Secondly, the rise on such road takes a lot of time on it because a lot of twists and cars go at a minimum speed. 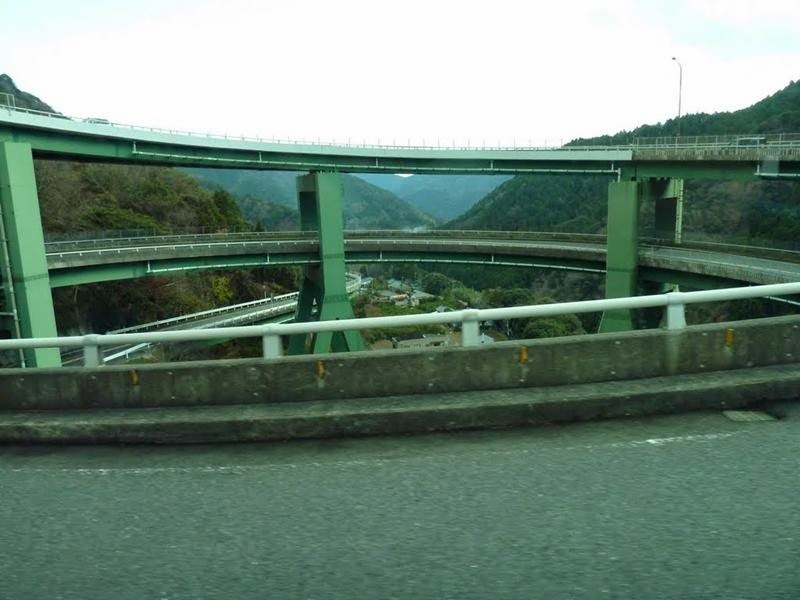 In Japan, confronted them solved the problem quite trivial - they are simply connected by a road at the foot of the hill, with its upper part of the spiral bridge. 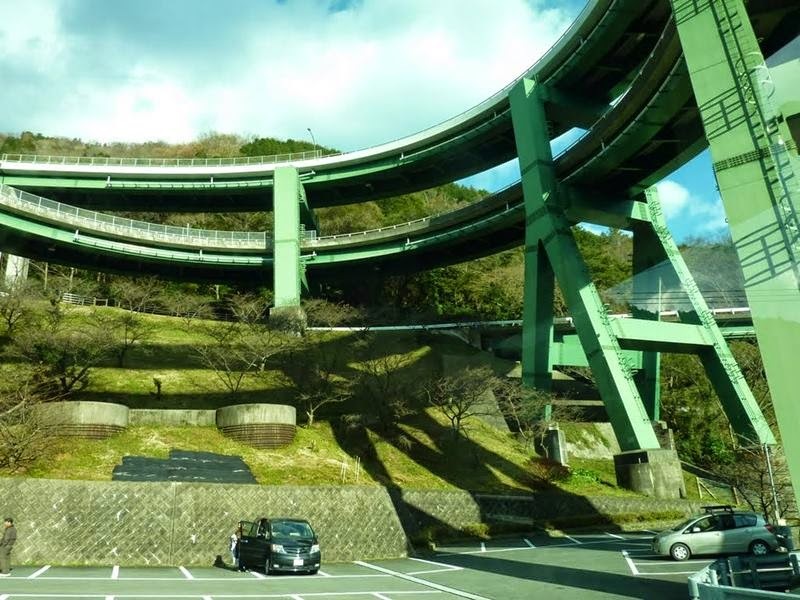 This design does not require a lot of space and, in addition, good resistance to earthquakes, followed by an extended lift had to be repaired often, which would have resulted in a serious waste. 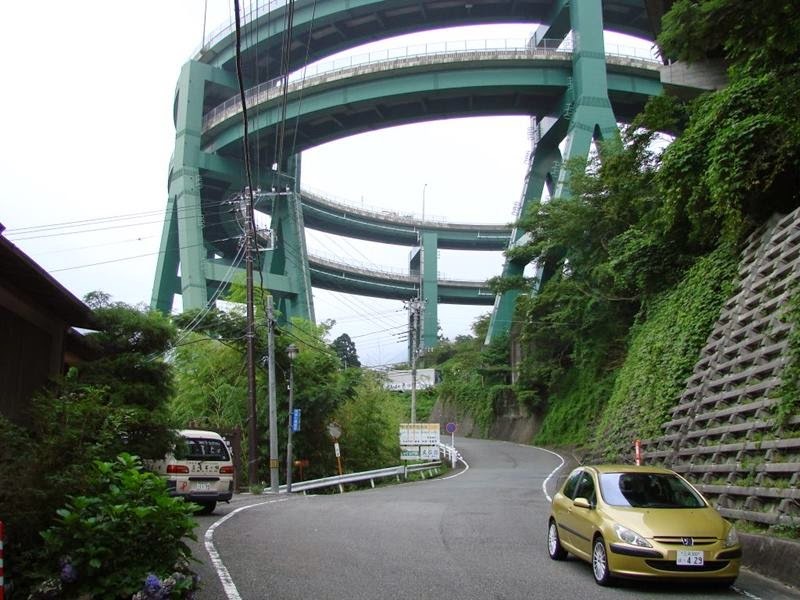 This spiral allows cars to go up and down by 45 m, and, as if they are suspended between the two sides of the mountain. 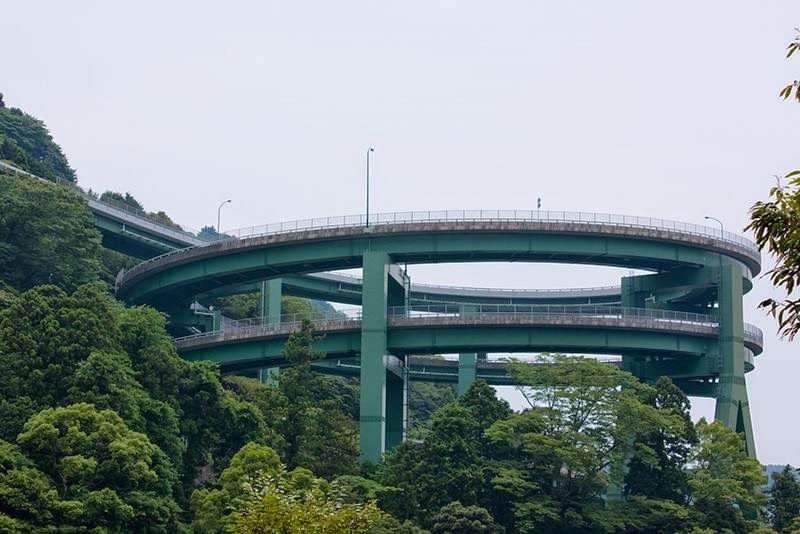 In the loop diameter is 80 m and the entire inclined portion is 1.1 km in length, the speed limit over it is 30 kilometres/ hour, try and stick to it. 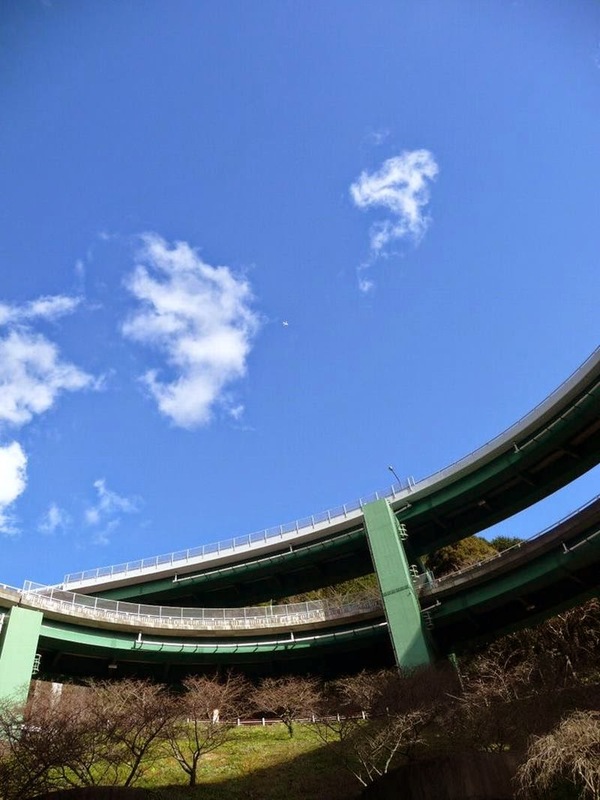 Bridge on Highway 414 between Tokyo and the peninsula Itza was completed in 1982 and has become a local landmark.